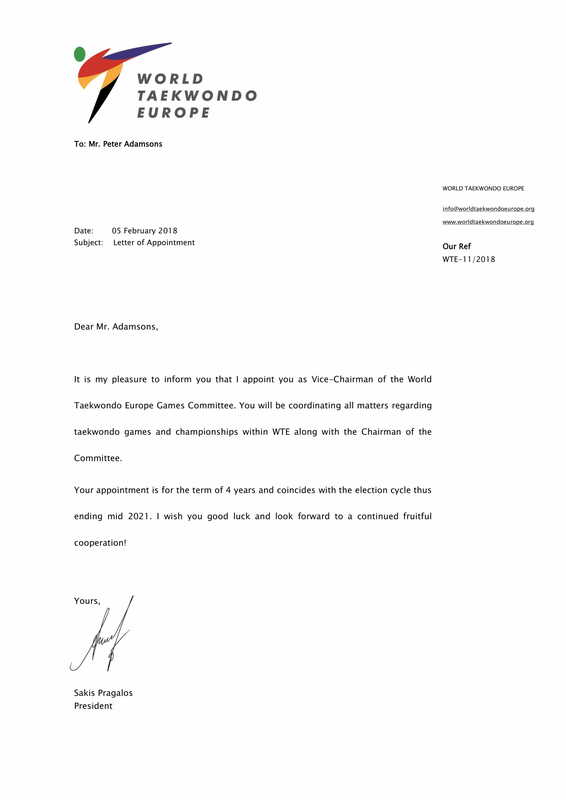 We are delighted to announce that Peter Adamsons (Scorpion Taekwondo) has been appointed as Vice-Chairman of the World Taekwondo Europe Games Committee for a four-year term. 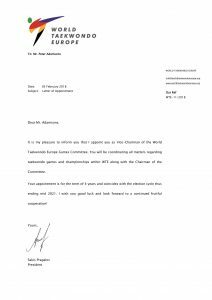 Peter’s role will see him working with the Chairman to coordinate all matters regarding taekwondo games and championships within WTE. Congratulations and Good Luck in your new role Peter.